When people are grieving or anxious, they will often say, “I just keep busy to keep my mind off of it.” And, in those situations, being busy sounds reasonable. But I’m thinking this filling up of the mind with stuff may be interfering with the healing work of God. Another example is the memory and RAM needed in a computer. I suppose this is on my mind because of the computer parts all over my desk here at home. I knew my computer was on its last legs, but I wanted to get the data off and transferred to the new computer before it was too late. I got all the right cables, the PC Mover software, made all the right connections but when I tried to load the software, I got a blue screen. It was all over. There was simply no more room on the old computer for anything. Even though the PC Mover software would help the situation, would open up space, the computer was too full already. How many times have I told my kids to leave room at the top of a cup of coffee if they want to add cream and sugar. Instead, there’s a mess all over the counter from spilled liquid while they try to stir it or carry the brimming cup to the sink. We do the same thing in our brains. Well, at least, I know I do. I max out my head and my calendar. I keep adding and adding and then I wonder why I start to forget things and become more and more stressed out. Leaving room for what comes next must be intentional. If I want God to do a work, to help me solve a problem, to transform my habits, then I’d better leave some extra time, energy, and place for that to happen. 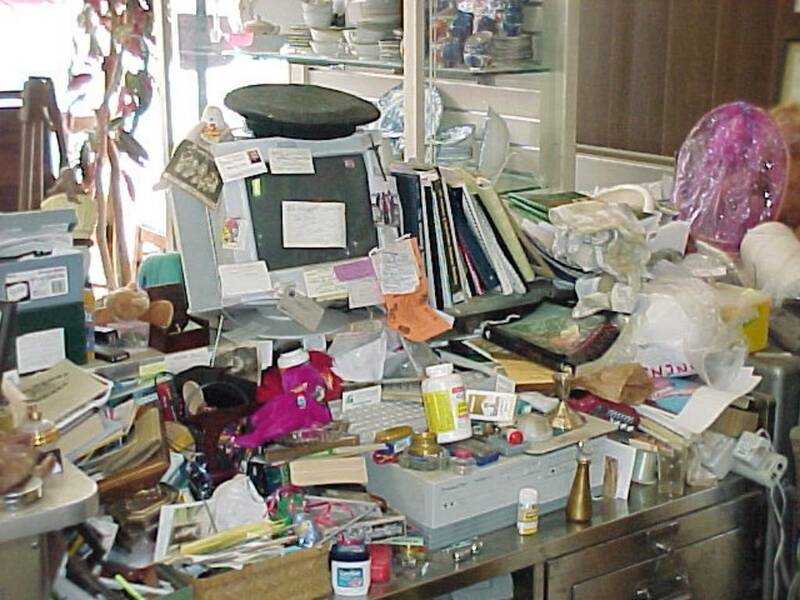 De-cluttering is a good example. Surely, everyone knows that things look and feel worse before they feel better when trying to move from chaos to order. To organize a messy closet, everything has to come out first. The stuff ends up all over the floor and bed. And if I don’t leave enough time to return those items methodically to the closet, I have just expanded my problem. God also needs my time and attention to de-clutter me within.